Reputation is everything - especially online. In today's competitive market, managing your company's online reviews is vital to the success of your business. 90% of your potential customers read online reviews before visiting a business and 88% trust those reviews as much as personal recommendations. So how can you ensure that your online reputation speaks accurately for your business? 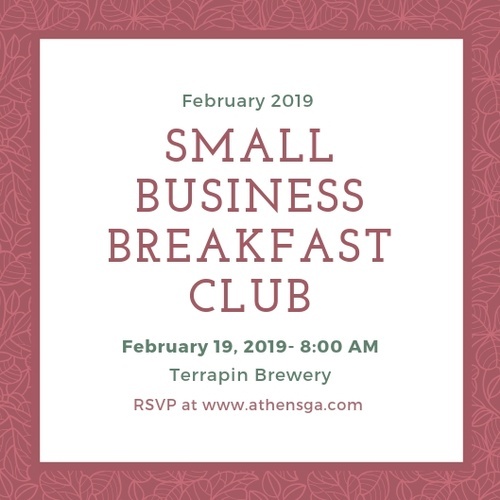 Join us at the Small Business Breakfast Club on February 19th to hear from local business owners about challenges and successes of managing their online reputation. You won't want to miss this panel of business members representing the restaurant, marketing, and service industries bringing their unique perspectives to the discussion.